They are the state’s most desired employers. The ones that offer the great salaries, generous benefits and cool perks. The places where the employees say they feel valued and appreciated. They are the Best Companies to Work For in Alabama. 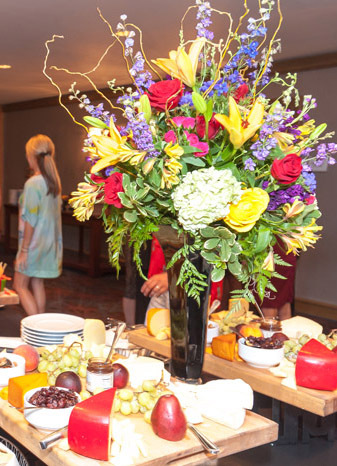 And they gathered August 4 to celebrate their success at a reception in Birmingham’s Hyatt Regency-Wynfrey Hotel. 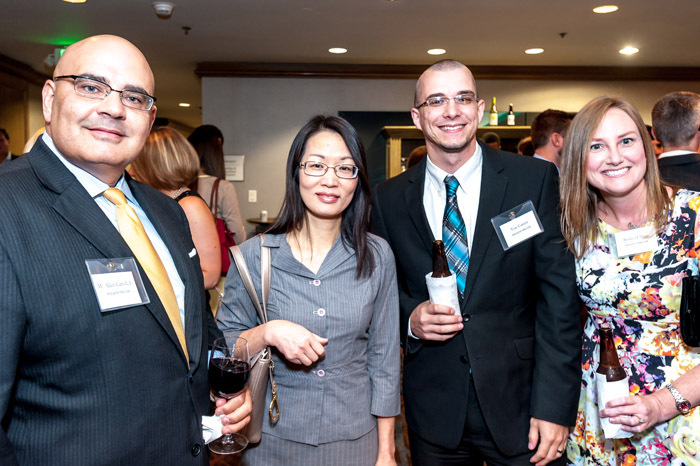 The Best Companies Group (BCG), a business research firm based in Harrisburg, Pennsylvania, rates participating firms based on two surveys administered to employers and their employees. Employers are asked about salaries, new jobs, telecommuting policies, benefits and more. Workers, responding anonymously, write about the workplace, whether they enjoy coming to work and whether benefits meet their needs. 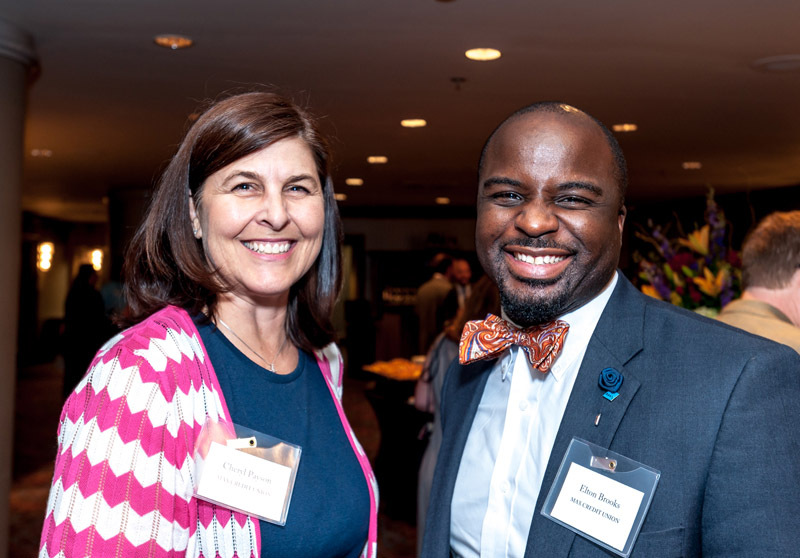 ABOVE Max employees Cheryl Payson and Elton Brooks picked up the credit union’s award in the Large Company category. ABOVE Peter Burke, of Best Companies Group, and Sherri Jackson, who served as emcee, at the end of the evening. 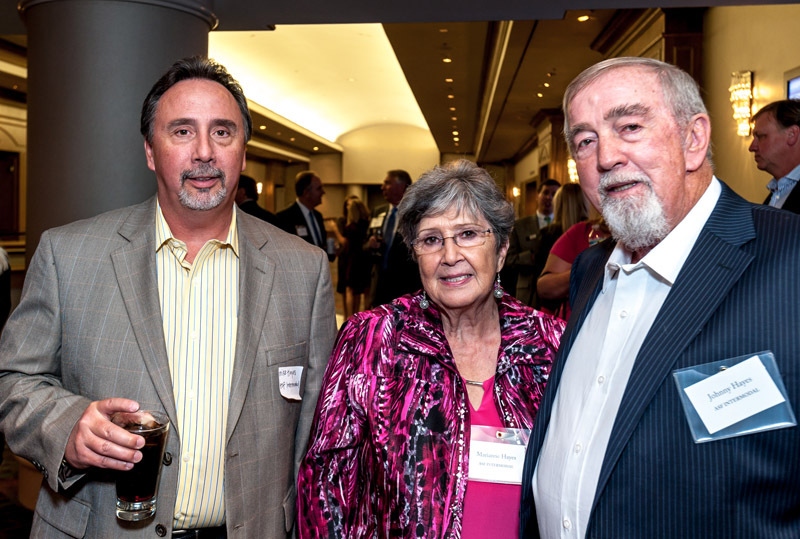 ABOVE ASF Intermodal’s (from left) Mike Hayes, Marianne Hayes and Johnny Hayes. ABOVE LEFT Norton’s Florist, of Birmingham, provided the beautiful arrangements. 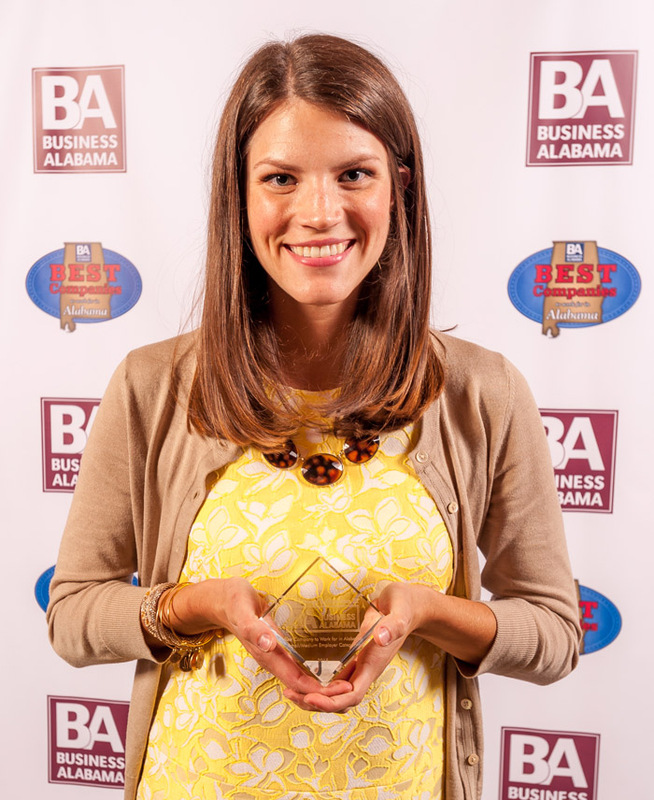 ABOVE RIGHT Rachael Meigs, of DeAngelis Diamond Healthcare Group, picked up the company’s award in the Small-to-Medium company category. 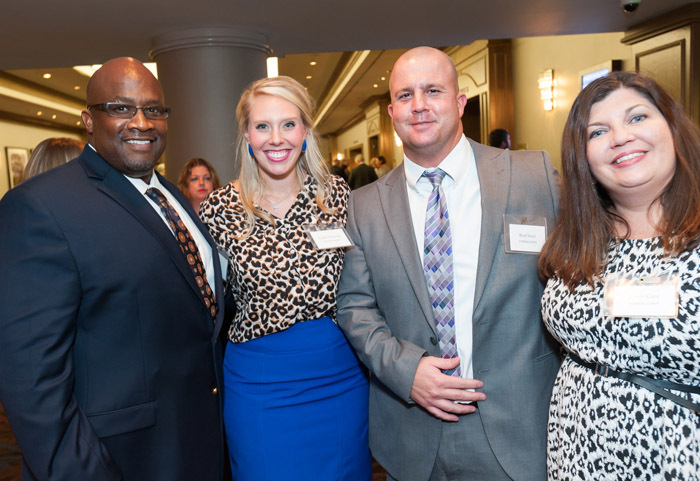 ABOVE Charles Coleman, Taylor Thurman, Brad Strazi and Lynne Card represented finance company Tower Loan at the event. 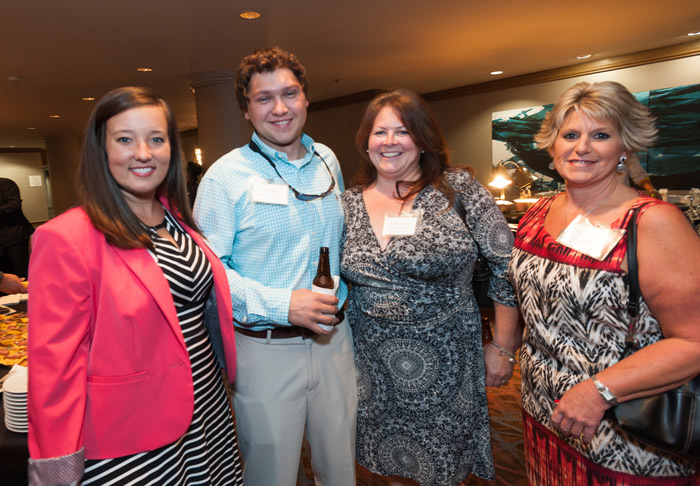 ABOVE Gray’s Emily Mathis, Daniel Doucet, Cindy Suddith and Sherry White. ABOVE Taking home third place in the Small-to-Medium category was Wilkins Miller, represented by (from left) W. Allen Carroll Jr., Judy Chen, Trae Catmett, Bridget Ehlers. 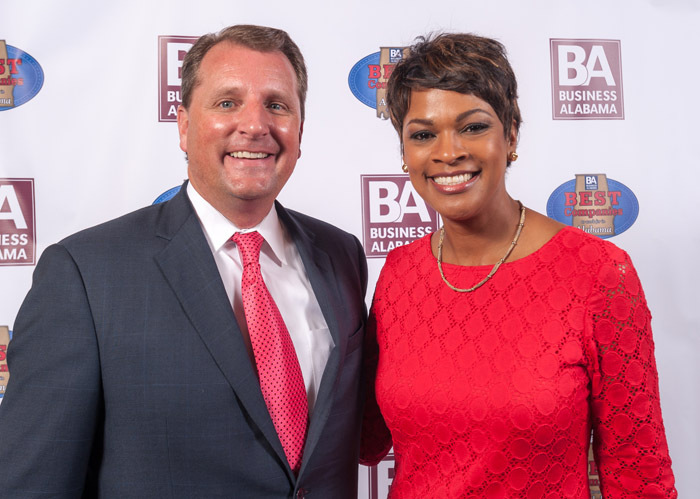 Gail Allyn Short and Joe De Sciose are freelance contributors to Business Alabama. Both are based in Birmingham.